James is a HUGE fan of the LEGO movie and ever since watching the film has been engrossed in his LEGO. So when the lovely people at STORE sent us a LEGO movie lunch set I new James would love it. STORE is a website for all of your storage needs for everything from Shoe storage to kitchen and Bathroom storage and so much more. If your looking to store it you will definitely find a way to at www.aplaceforeverything.co.uk! As mentioned above we were sent the LEGO movie lunch set which came just in time as James has just started school! 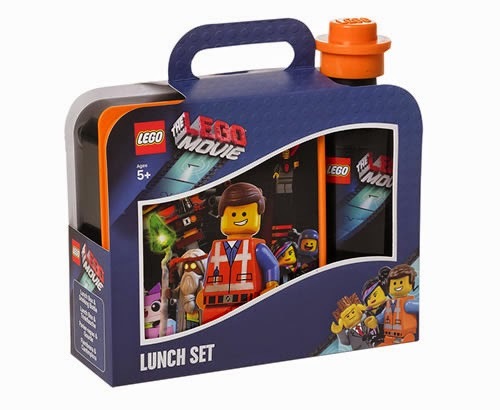 The set consists of a lunch box and a drinking bottle and is officially licensed by LEGO themselves. 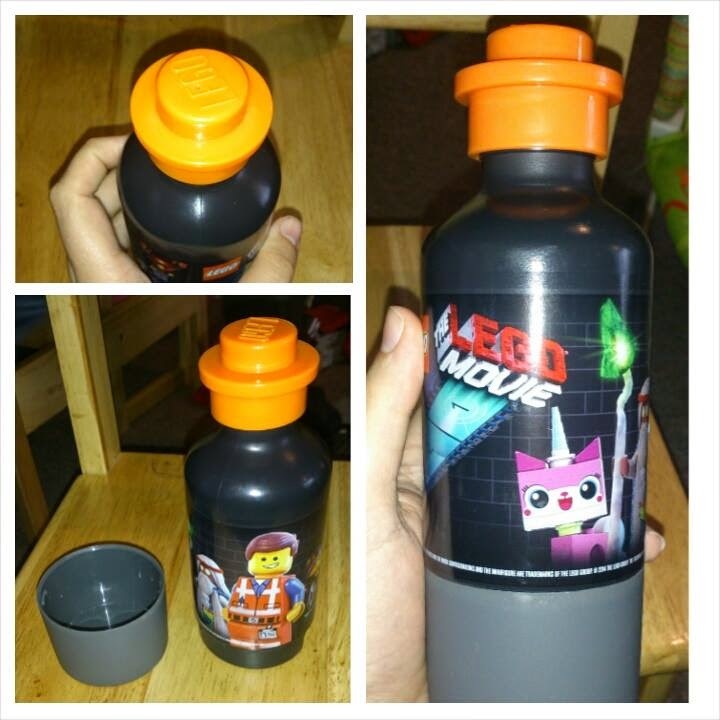 The drinking bottle features pictures of the LEGO movie characters and has a funky LEGO top! As well as this the bottom of the bottle comes off to create a little cup so the drink can be poured from the bottle, into the cup and easily drank. We try to encourage James to drink from a cup as he tends to pull at the caps of the sports bottles with his teeth and we don't want him to damage his teeth so this was great! It also meant he could pour what he wanted into the cup and then reapply the lid to the bottle and we didn't have to worry about the whole bottle contents being spilt. The bottle can hold up to 350mls. Also in the lunch set was the lunch box. This is a great sturdy lunch box that measures 6.5cm high x 16cm long x 14cm wide and has plenty of room to hold a sandwich, crisps and a biscuit. 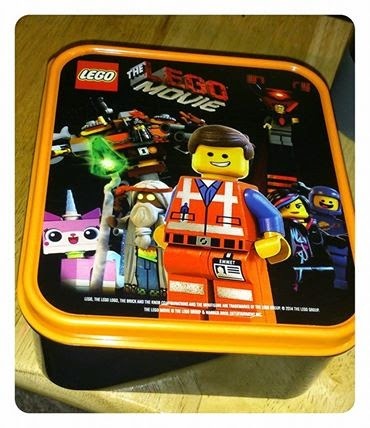 The colours and pictures of the lunch box are bright and vibrant and would be a real hit with and LEGO or LEGO movie fan! This lunch set is a Limited Edition (so quick grab yours quick whilst you can!) and is priced at £14.00 which I think is a reasonable price for a branded, sturdy lunch set that is definitely built to last. This is great timing, I'm buying this for a friend's son for his birthday and reading this has helped convince me he'll love it, thank you! We are desperate for new Lego mini figure bags, Lego launched the new online game in the wake of the movie, but then restricted the figure production! Oh my goodness my son would love this! Great review! Oh my son would love this. He is actually watching the Lego Batman movie at the moment. Awesome. I really like the water bottle; the idea of a little cup is genius.